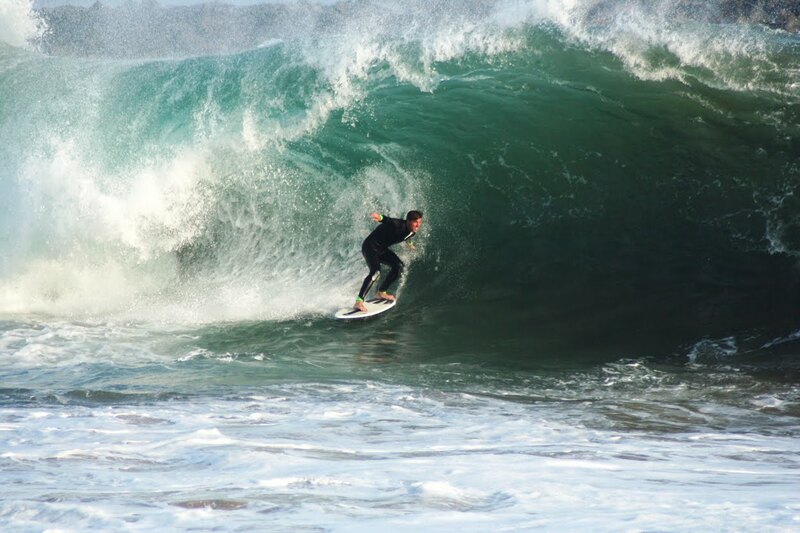 There was a south swell today at the wedge in Newport Beach. For anyone unfamiliar with the wedge, this picture pretty well sums up what you can expect to see when its really pumping. The wedge is an awesome and unpredictable display of blond haired teenagers vs nature. Its widely considered to be the best bodysurfing beach in America. Sit for an hour or two on a day like today, and you are pretty much guaranteed to see someone get absolutely destroyed. Often, the ambulances park right along side the beach waiting to cart the unlucky ones away. On the weekends, the news vans and the crowds will be there too, watching “safely” from the beach. Every once in a while, a rogue wave will roll in our of nowhere and smash the crowd too. Tensions between the swimmers can run high in the water. People have died surfing the wedge. Although Balboa Peninsula is one of the safest and nicest areas in Southern California, its not uncommon to see screaming match or even the occasional fist fight at the wedge. I’ve dared to get in the water during a south swell two or three times, but I usually wont attempt any wave over ten feet. The fear of sustaining a serious injury without health insurance usually keeps me on the beach. I’d rather be snapping pictures than snapping my neck .